Pamplin Media Group - Let it flow during next Columbia River flood? Let it flow during next Columbia River flood? As Portland prepares to bolster the levee system protecting the city from Columbia River flooding, some say we should go back to the future and let Mother Nature takes its course. And the place they want to do it is near the same leaky railroad embankment that triggered the disastrous Vanport Flood, which wiped out Oregon's second-largest city in 1948. The idea, now under study by the city parks bureau, could allow the Columbia to flow onto open space beyond its banks, potentially over lands used for Heron Lakes Golf Course and Portland International Raceway. "I think we have a big opportunity here," said Bob Sallinger, conservation director of the Audubon Society of Portland, one of the environmentalists pushing the idea. "We do have to modernize our levee system, and how we do that is important." "Water finds a way" to get where we don't always want it, Sallinger said, so letting the Columbia flood onto nearby land may be cheaper, in the long run, than trying to channel it with big levees. "That's an example of 21st century strategy replacing 20th and 19th century strategies," he said. So far, no one involved in the Levee Ready Columbia project that is trying to upgrade the region's 27-mile levee system is ruling it out. 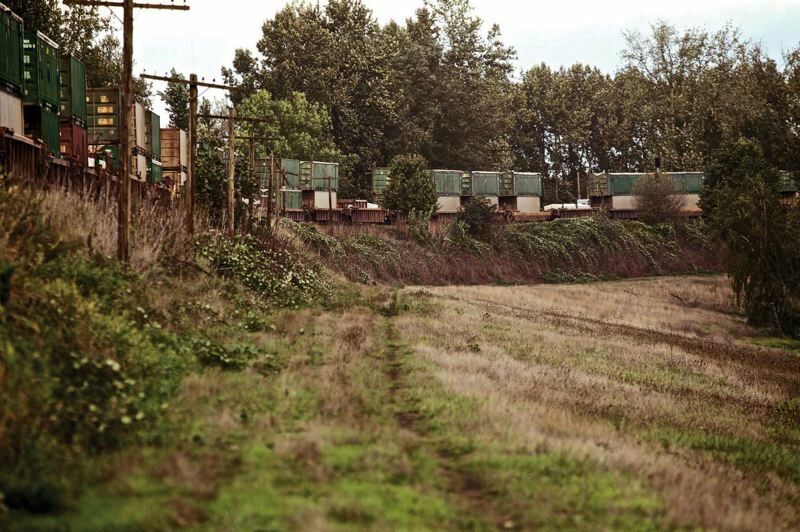 The two railroads running trains over the embankment — Union Pacific and BNSF — don't want the liability that comes from having their site do double-duty as a flood-control levee — though that's been the case since before the Vanport Flood. So Levee Ready Columbia has concluded that stretch needs to be replaced with a real levee, costing an estimated $15 million to $20 million. Instead, Audubon and other environmentalists want to evaluate expanding the natural floodplain in that area, allowing flood waters to spread into Peninsula Drainage District No. 1, commonly called "Pen 1." Most of the Columbia River floodplain in the Portland area has been heavily developed, with the likes of Portland International and Troutdale airports, the Oregon Air National Guard Base and a host of industrial parks, hotels, retail complexes and residences. It would be prohibitively expensive for local governments to condemn and purchase those properties to provide a larger natural floodplain, as the city did for homes along Johnson Creek to create a larger natural area for that creek to safely expand during heavy rains. 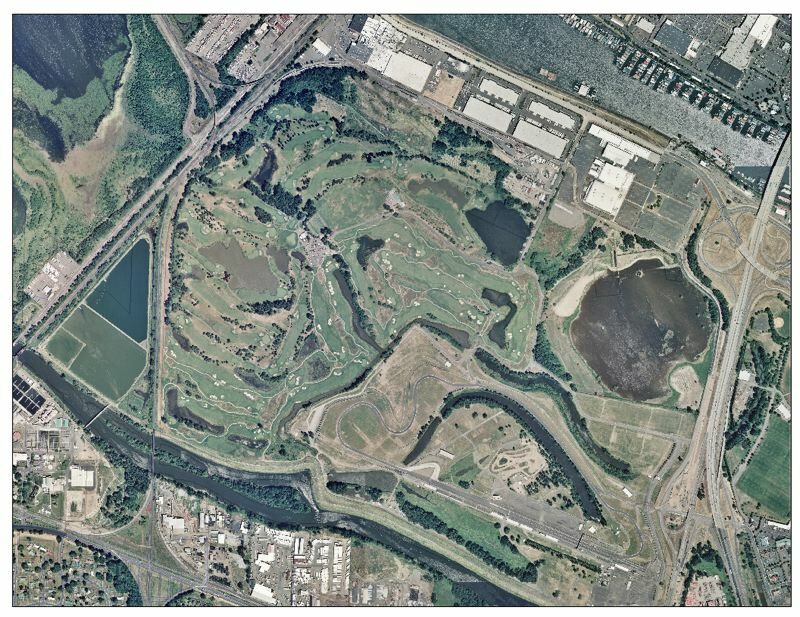 But three-fourths of Pen 1, which is between Interstate 5 and the railroad embankment, is owned by the city and is relatively less developed, such as the city-owned Heron Lakes Golf Course and Portland International Raceway. "Pen 1 is the most obvious" place to try the natural approach the city has used with Johnson Creek, said Mike Jordan, director of the Bureau of Environmental Services. He predicts the city's efforts there, which have substantially reduced flooding of Foster Road and residential areas near Johnson Creek, will save the city money in the long run. Traditional approaches to flood control have largely relied on structurally constraining water, often dubbed "gray" for the heavy use of concrete dams. The Bureau of Environmental Services has been a national innovator in implementing "gray and green" approaches, which use more natural methods. "We're on board with that, because we have a track record of doing that effectively," said Diane Dulken, spokeswoman for the bureau. The city also used more green approaches in its Big Pipe project, designed to reduce untreated sewage flowing into the Willamette River and Columbia Slough. Such green approaches can save money and improve water quality, Jordan said. Allowing the city-owned facilities to flood might mean they could retain their current uses more than 99 percent of the time, Jordan said. Portland Parks & Recreation is now studying what occasional flooding might do to the land, he said. The parks bureau is working with public and private landowners in Pen 1 "to assess the risks associated with flooding from stormwater drainage and river flooding," said bureau spokesman Mark Ross. "Alternatives might include modifying existing wetlands and drainage networks in order to manage flood risk and protect land in the area of the historic Vanport flood of 1948." Not incidentally, the Pen 1 drainage district, one of four formed decades ago by landowners to pay for the 27-mile Columbia River levee system, is the one with high expenses but little wherewithal to pay for local upkeep, said Reed Wagner, executive director for the four drainage districts. "That area of Pen 1 is so underfunded, we haven't been able to do much more than keep the pump running over the last two decades," Wagner said. Leaders of Levee Ready Columbia, an intergovernmental team working to get the levee system recertified as required by federal officials, is open to studying natural alternatives near Pen 1. "We don't yet know the scope of what that would require or what it would cost," said Jules Bailey, a former lawmaker and county commissioner who is convener of Levee Ready Columbia. Pen 1 also includes wetlands, the Portland Expo Center, the control cabinets for TriMet's MAX Yellow Line and some industrial properties, said Colin Rowan, Levee Ready Columbia program manager. Sallinger of Audubon is concerned that the U.S. Army Corps of Engineers, which is working on a $3 million study of alternatives to upgrade the levee system, will shortchange environmental concerns. They have a history of pursuing "structural fixes rather than environmental fixes," he said. "They like to build bigger and better walls where something working with nature would suffice." Valerie Ringold, chief of the planning and economics section of the Army Corps' Portland District, said it's true that the agency's mandate from Congress here is "flood risk management." But the Army Corps is looking at four alternative approaches, and one of them, called the "non-structural alterative," includes more "nature-based features," Ringold said. That might mean buying up some land to allow more natural floodplain, raising the elevation of some areas and other methods, she said. "It's hard to do in such a highly altered environment to have it be completely natural," she said. But it may be more feasible in the Pen 1 area, she said. Once the Army Corps develops its four alternatives, it would put them through a cost-benefit analysis, as required by Congress, and make one recommendation, probably by December or January, Ringold said. Then, after getting public feedback, it expects to present the top alternative to Congress to qualify for federal assistance. To the extent Levee Ready Columbia can get federal aid to bolster the flood control system, that's less money that will have to come from local taxpayers and property owners.